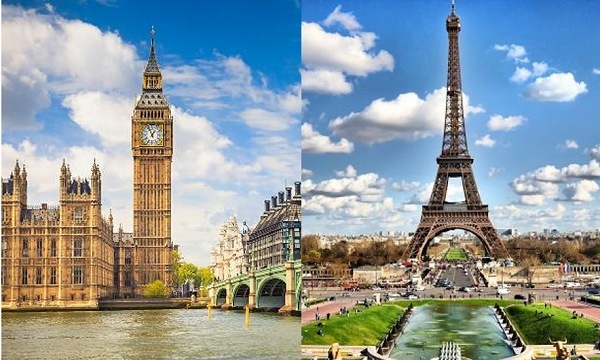 London and Paris continue to rank first and second respectively among Americans as the most popular European destinations for summer travel, and both destinations will see an uptick in the number of summer travelers in 2017, per a review of Americans’ summer travel intent by customers of Allianz Global Assistance. The company reviewed more than 10 million trips planned by customers during the summer season of 2015, 2016 and 2017 and found that this summer, London will welcome a 36.55 percent increase in U.S. travelers from 2016 and Paris will receive a 28.77 percent increase of US travelers. Similarly, Stockholm will have an 8.16 percent increase in U.S. travelers compared to 2016 and is expected to beat its summer visitor numbers from both 2015 and 2016, even after the terror attack earlier this year.